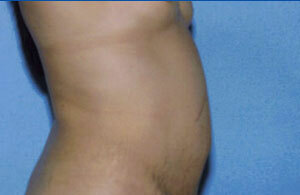 This 40yr old patient desires contouring of her trunk following multiple pregnancies. 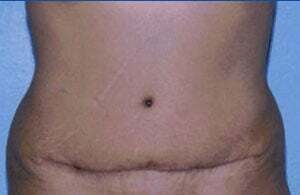 This was achieved by a tummy tuck alone, Her after is several weeks post surgery with improvement of her contour and her belly button can now be visualized. A touch up can be performed after a few months to obtain further improvement by lowering the scar and lifting the pubis. Sometimes this cannot be performed at the same time due to rupture or opening of the wound secondary to too much tension. This patient was happy with her result and sought no further improvement.